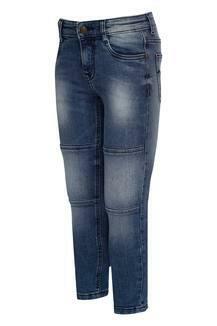 Complete your kiddo's casual wear collection with these stylish jeans from Flying Machine Kids. 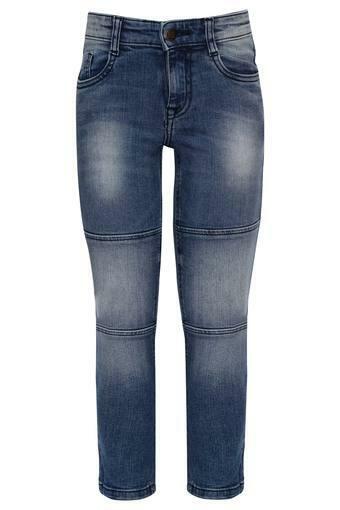 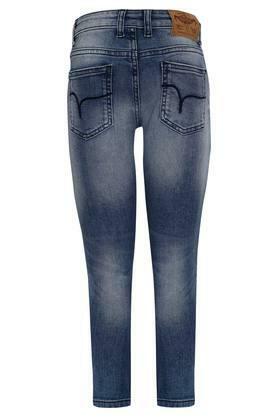 Made using good quality fabric and featuring a whiskered effect pattern, this full length jeans along with five pocket are comfortable as well as smart. Give your casual wardrobe a stylish lift with these jeans. They can be teamed up with a top and sneakers to complete your stylish look.